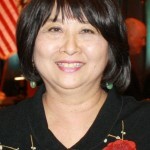 LONG BEACH — Lillian Kawasaki was unsuccessful in her bid for the District 8 seat on the Long Beach City Council. 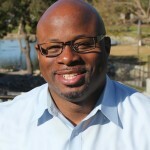 With all 24 precincts reporting in Tuesday’s election, Al Austin received 1,960 votes (55.2 percent) to Kawasaki’s 1,527 (43 percent). The margin of victory was 433 votes. Gustavo Cortes Rivera was a distant third with 65 (1.8 percent). District 8, which includes North Long Beach, Bixby Knolls, Virginia Country Club and Los Cerritos, is currently represented by Rae Gabelich, who chose not to seek re-election. Having served two terms, she was barred from being on the ballot again, but could have run as a write-in candidate. Austin also had the backing of District 9 Councilmember Steven Neal, former Vice Mayor and District 9 Councilmember Val Lerch, and former District 8 Councilmember Ron Webb. District 9 is also in the northern part of the city. Kawasaki’s endorsers included Mayor Bob Foster, former mayor Beverly O’Neill, District 3 Councilmember Gary DeLong, Los Angeles County Supervisor Don Knabe, and State Sen. Alan Lowenthal. “Austin, a former top aide to State Sen. Kevin Murray and former labor negotiator, has the backing of police and fire unions. Voters ought to be concerned about his willingness to consider raising taxes to restart the police academy and his inability to give the editorial board an accurate answer to a question about the number of police officers currently on the force. Rivera, a veteran and college student, did not actively campaign and did not meet with the newspaper’s editorial board. Austin and the winners of the District 2 and 4 council races will take office in July.